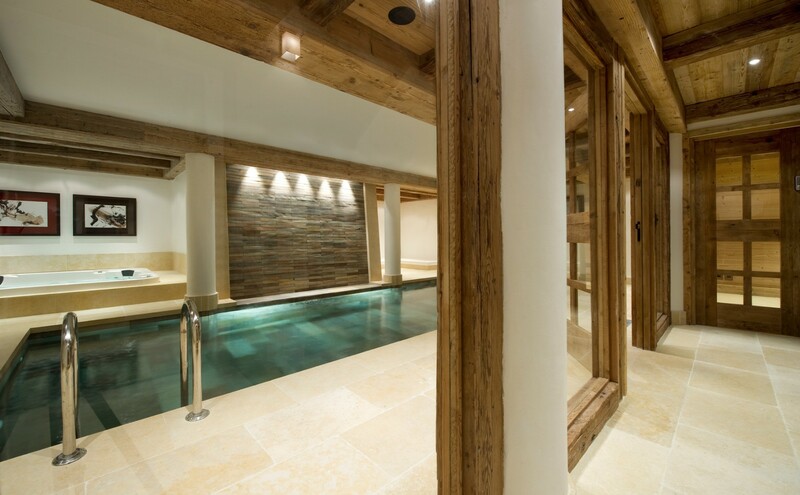 Resting directly on the piste at Bellecote in Courchevel 1850, the Chalet Les Gentianes offers discerning travelers a comprehensive array of services and amenities in a simply stunning setting. 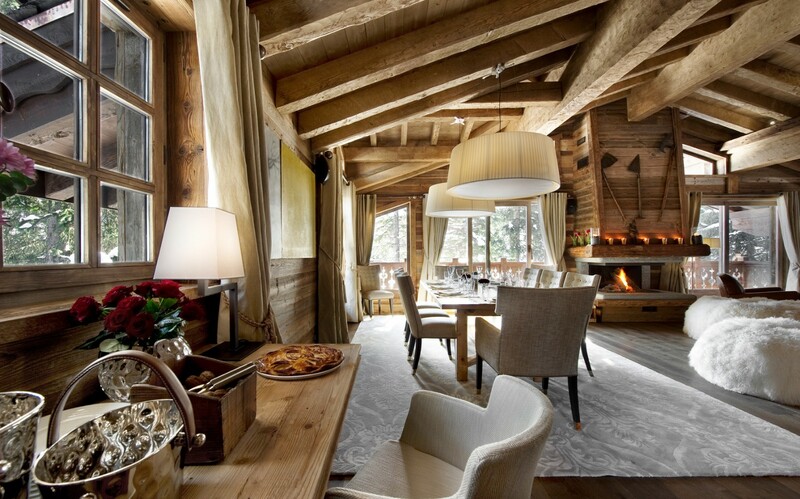 Close to the world-class shopping and dining in the lovely town center, it is also a premium ski-in/ski-out location for the avid skier. 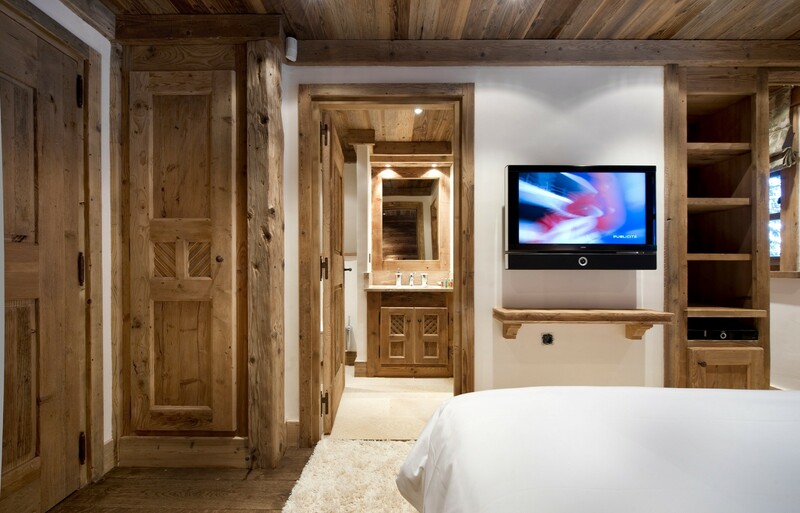 However, even the non-skiers will find themselves busy and relaxed thanks to the wonderful services and the upscale facilities in the chalet. 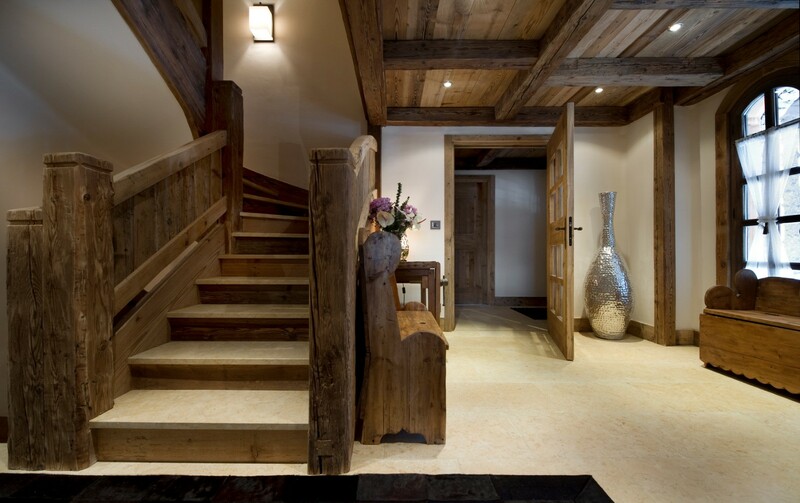 A stay includes the services of a private driver and a household staff comprised of a chef, housekeeping and a dedicated chalet manager. You are welcomed with a champagne reception, and each day your chef prepares delicious meals. Guests enjoy an open bar, and fresh flowers as part of the experience too. 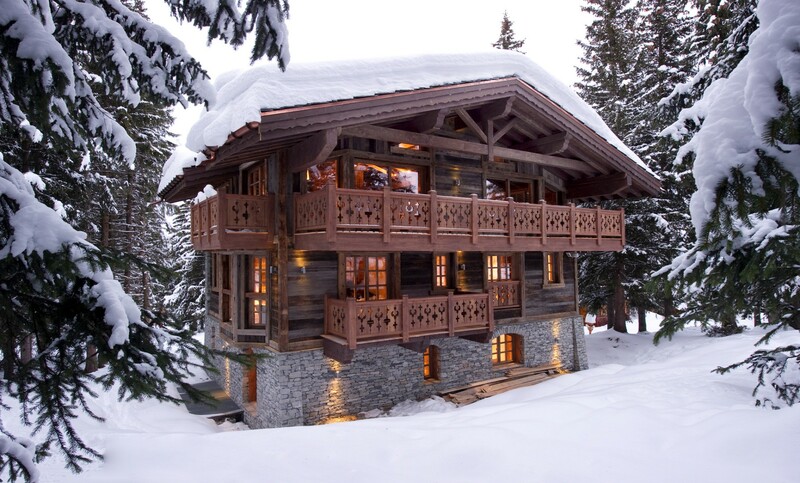 The chalet itself features several floors of shared and private living spaces that include a fully-equipped ski room, an impressive wellness area with a private pool (with a lovely waterfall feature and surrounding terrace), hammam, Jacuzzi, fitness center, and massage rooms. 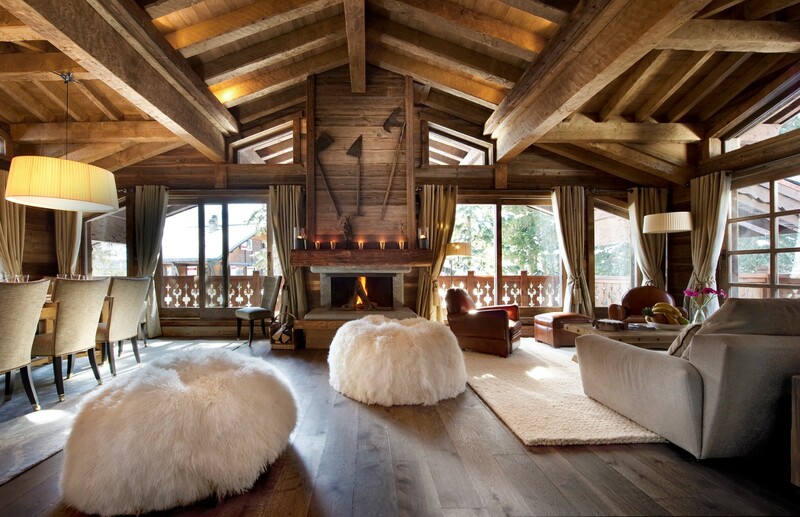 This is just the lower level, and there is also the impressive great room with hefty hand hewn beams, a roaring fireplace, and a blend of classic and contemporary furnishings that make it the ultimate in chalet chic. Balconies at all levels offer outdoor living, and bring plenty of sunlight into the entire great room. A large dining room is at this level along with the kitchen. 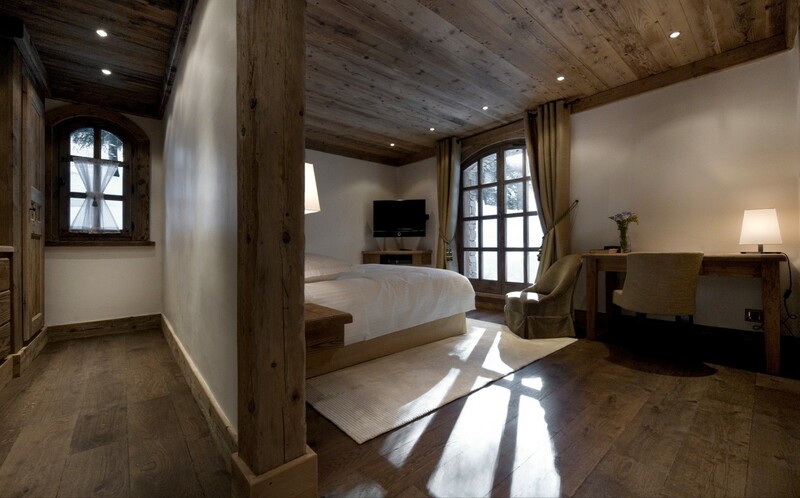 The seven luxurious bedrooms are divided between the floors to provide optimal privacy and great views for all. 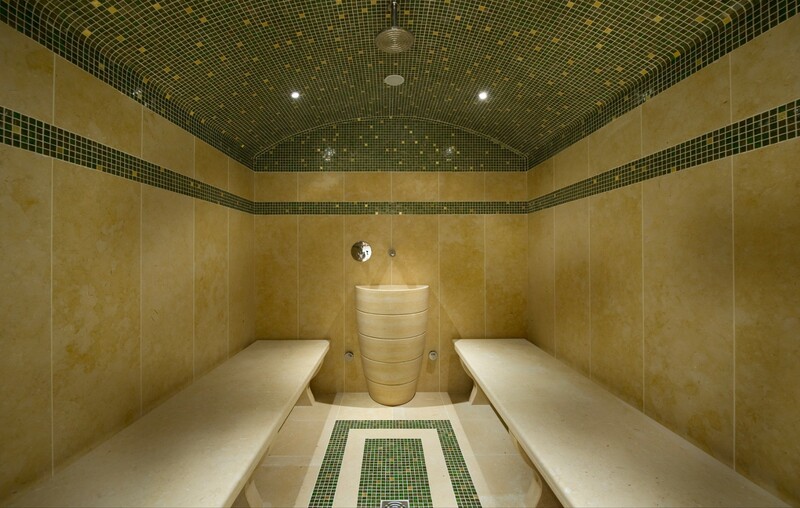 They include two master suites with king beds, premium entertainment systems, balconies and large private baths. 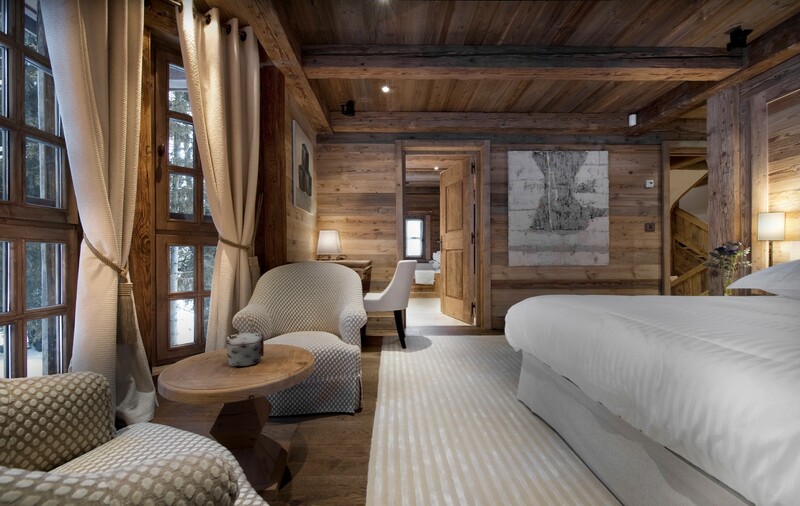 The remaining suites also feature views or balconies, private baths and most have queen or dual twin beds that can be converted to a king suite. 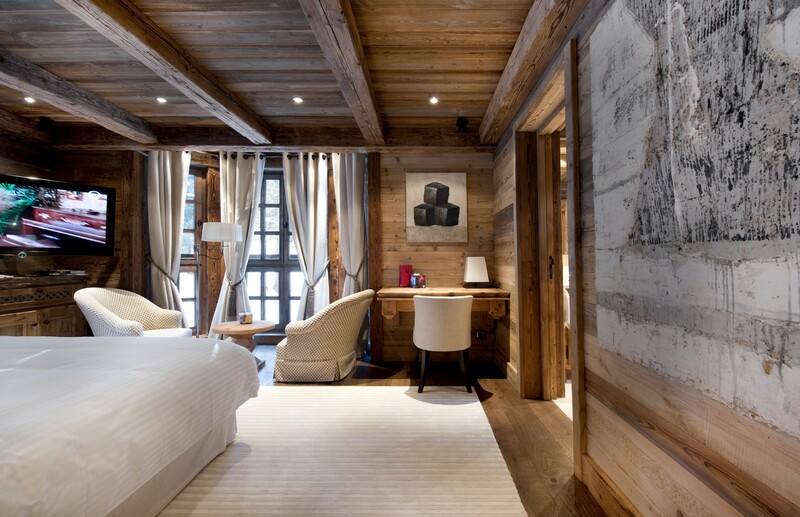 Premium linens and toiletries make each room a private paradise. 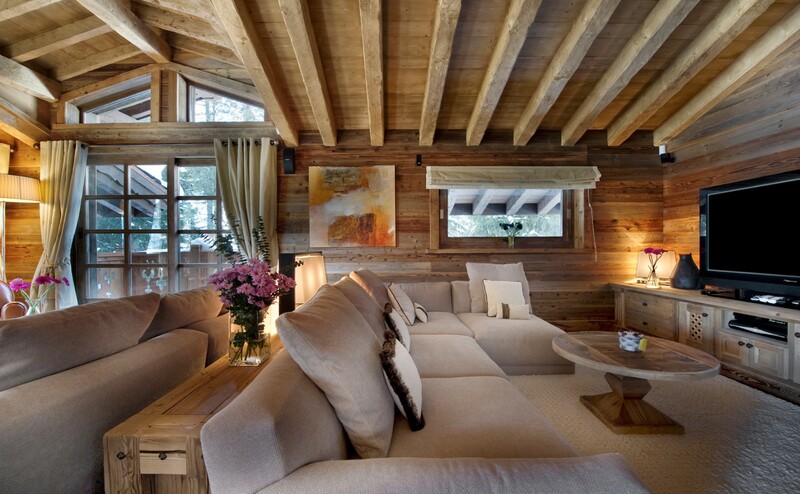 Whether traveling with your family or friends, a visit to the stunning Chalet Les Gentianes will be unforgettable. Rates includes : The services of a chef daily as needed, open bar for soft drink, tea & coffee and mineral waters, daily housekeeping services with a daily bed, bath and pool linen change, in-resort chauffeured vehicle for unlimited daily use between 8am and 8pm, fresh flowers, daily newspapers and a dedicated chalet manager, chef, butler, ski-instructor / guide, chauffeur and housekeepers. Getting there by plane : Geneva Intl. Airport 2 hrs.10 mins. Lyon Airport 2 hrs. Grenoble Airport 2 hrs. Paris CDG Intl. Airport 6 hrs.30 mins. 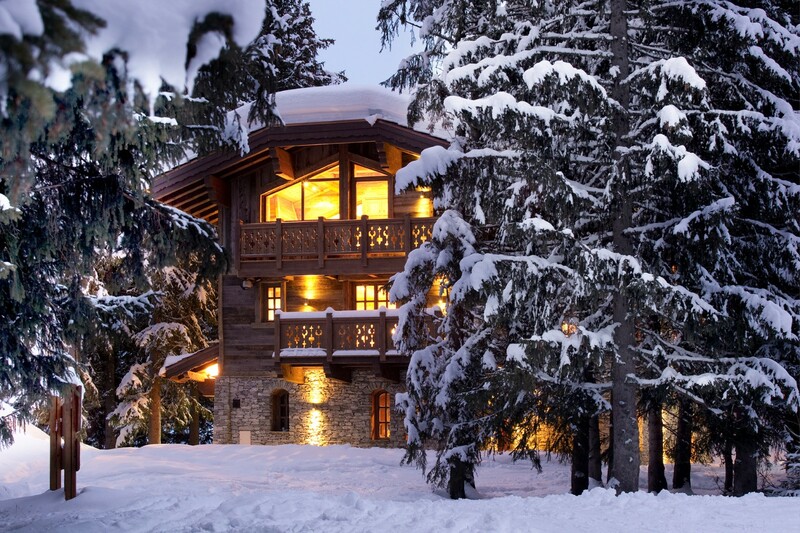 Private jet or helicopter transfer to Courchevel Altiport, less than 10 mins from the chalet. Bedroom 1 : Upper floor master bedroom with king-size bed, heating, TV, WiFi and en-suite bathroom with bath, shower, vanity and WC. 2 guests maximum. Bedroom 2 : Upper floor bedroom with queen-size bed (that can be made up as 2 single beds upon request), heating, TV, WiFi and en-suite bathroom with shower, vanity and WC. 2 guests maximum. Bedroom 3 : Upper floor bedroom with 2 single beds, heating, TV, WiFi, private balony and en-suite bathroom with shower, vanity and WC. 2 guests maximum. Bedroom 4 : Entrance floor level master bedroom with king-size bed, heating, TV, WiFi and en-suite bathroom with bath, shower, vanity and WC. 2 guests maximum. Bedroom 5 : Entrance floor level bedroom with queen-size bed (that can be made up as 2 single beds upon request), heating, TV, WiFi and en-suite bathroom with shower, vanity and WC. 2 guests maximum. Bedroom 6 : Lower floor bedroom with queen-size bed (that can be made up as 2 single beds upon request), heating, TV, WiFi and en-suite bathroom with shower, vanity and WC. 2 guests maximum. Bedroom 7 : Lower floor bedroom with 2 single beds, heating, TV, WiFi and en-suite bathroom with shower, vanity and WC. 2 guests maximum. 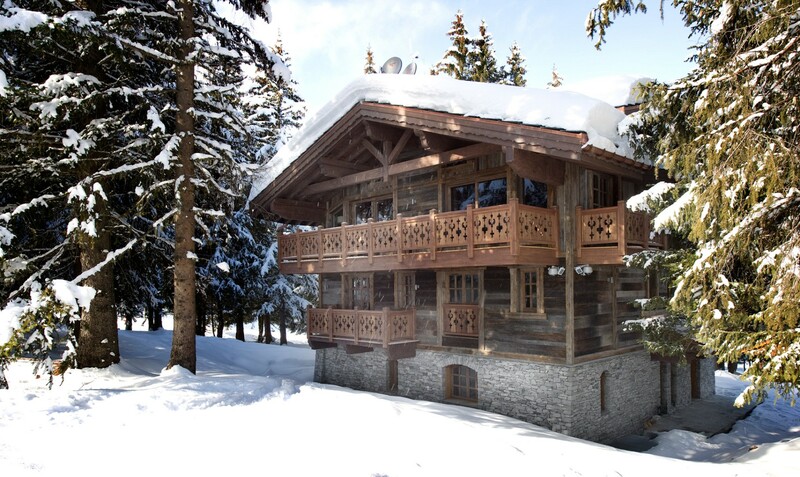 2 additional bedrooms with single beds and en-suite bathrooms available for up to 4 staff traveling with the chalet guests.